Mona Abdel-Fadil’s current research (2015-17) is in conjunction with the SAMKUL project: Engaging with Conflicts in Mediatized Religious Environments - A Comparative Scandinavian Study (CoMRel). CoMRel is headed by Professor Knut Lundby. Mona Abdel-Fadil earned her PhD from the University of Oslo in 2012. Abdel-Fadil has a background in Social Anthropology, Middle East Area Studies, Religious Studies and Multicultural studies. Her PhD dissertation: Living 'the Message' and Empowering Muslim Selves: A Behind the Screens Study of Online Islam, draws on a combination of offline fieldwork and online research. The study of Islam Online served as Abdel-Fadil's introduction to the field of Media and Religion. She has been the coordinator the Nordic Network for Media and Religion, since 2011. Abdel-Fadil's university teaching experience includes designing and teaching two BA Anthropology of the Middle East Courses on 'Gender and Family' and 'Culture and Society', for the University of Oslo (2003 and 2012), and teaching on the MA course Media, Religion and Conflict at the Department of Media and Communication at the University of Oslo (2015 and 2016). 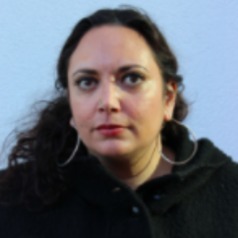 Mona Abdel-Fadil has published several articles on gender relations, contemporary Islam and media and religion in both English and Norwegian. Mona Abdel-Fadil is chief editor of the blog The Religion:Going Public which was launched in the beginning of 2016 by a team of colleagues across SAMKUL projects.